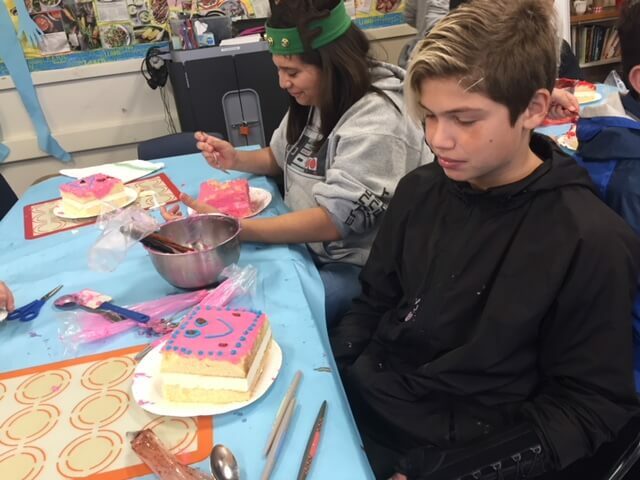 The holiday season brings the spirit of giving! 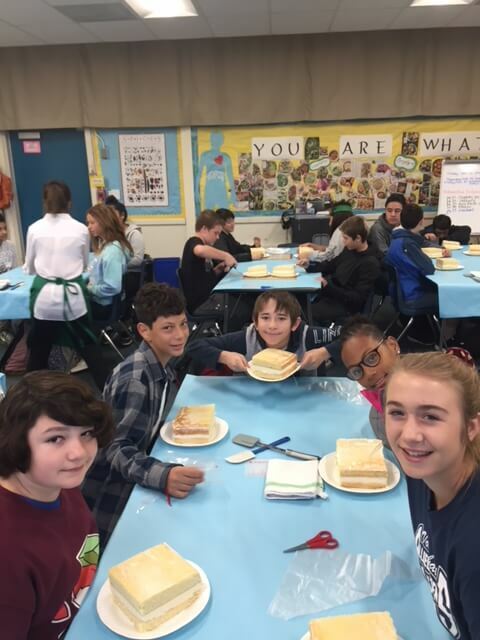 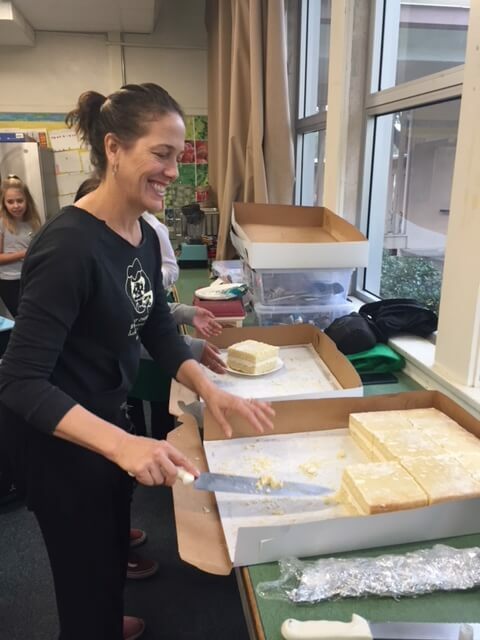 We recently had the opportunity to give back to the culinary students at La Mesa Arts Academy where Debra Sands, a positive and inspiring teacher, started a Culinary Program for her middle school students. 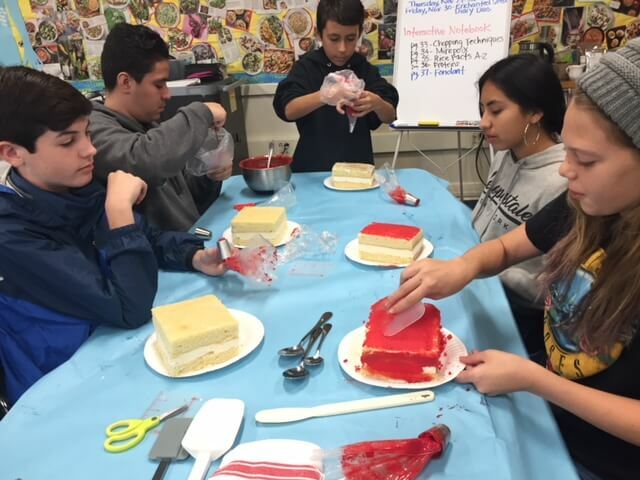 The program teaches students basic cooking techniques, how to use kitchen tools, and other culinary-related topics – the perfect opportunity to spread some sweetness and teach a class on cakes! 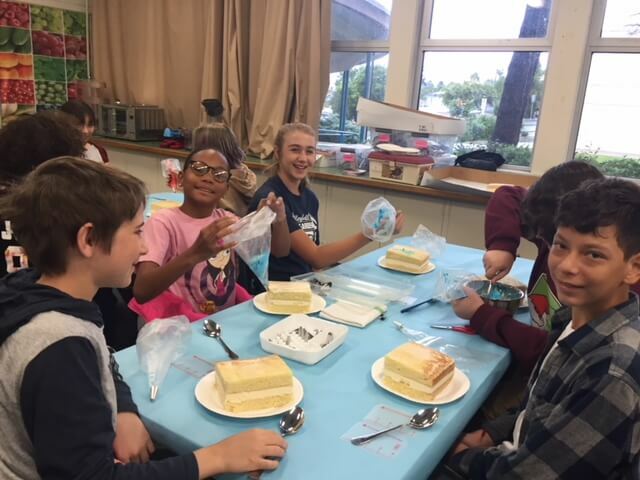 The students were engaged and curious about what we do as a custom bakery. 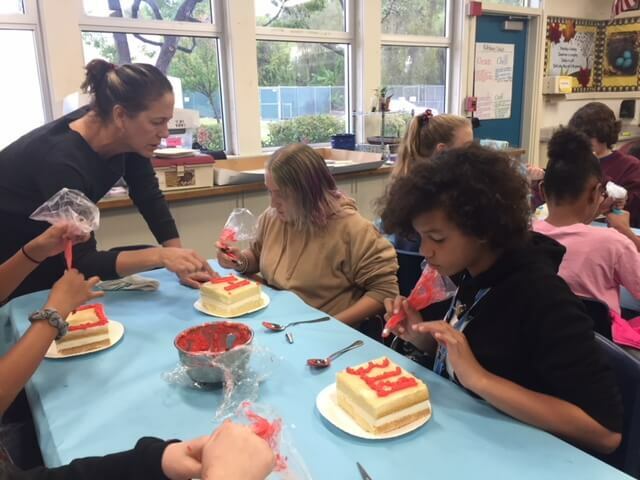 We taught them about ingredients like cornstarch and tips for working with gum paste. 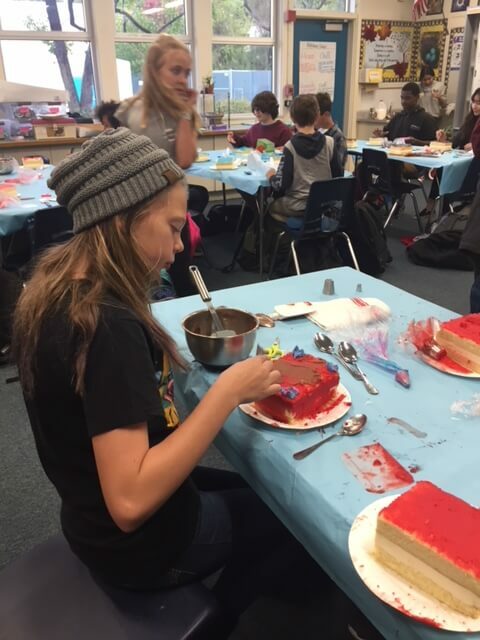 The students also got to try their hand at piping using a pastry bag and colored icings they made the day prior. 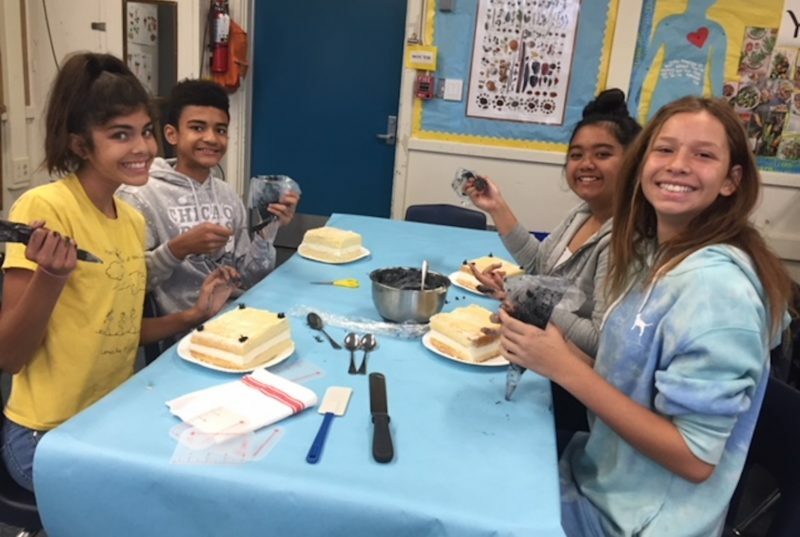 Each student received a 6” square naked cake to decorate and enjoy. 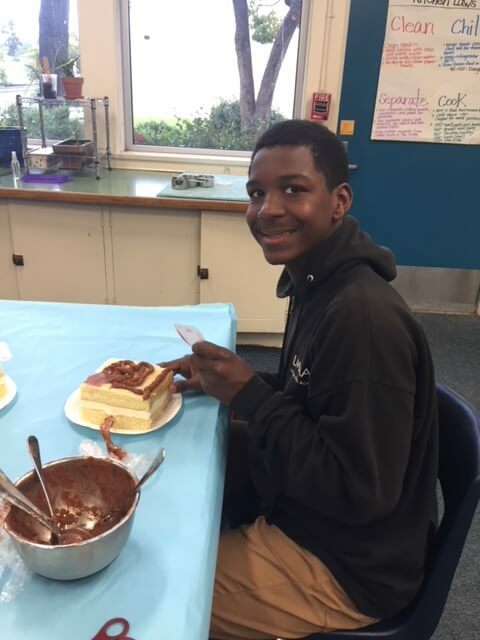 The finished cakes were wonderfully diverse – a testament to all the FOOD Network shows and other culinary inspiration available to students. 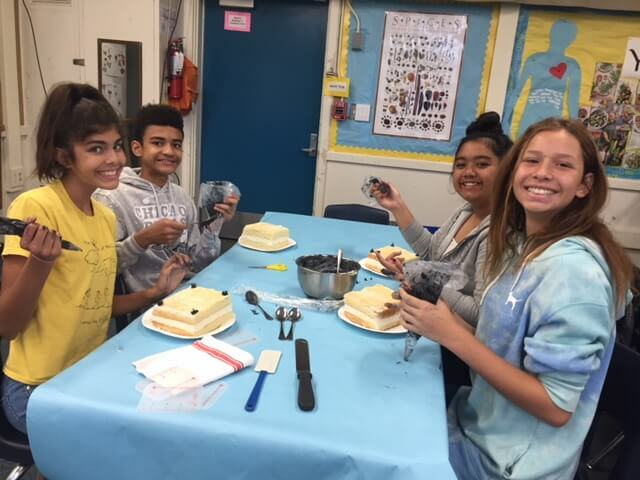 To top it off, Debra has reported that the students have retained what they learned and thinks this may have been their favorite class. 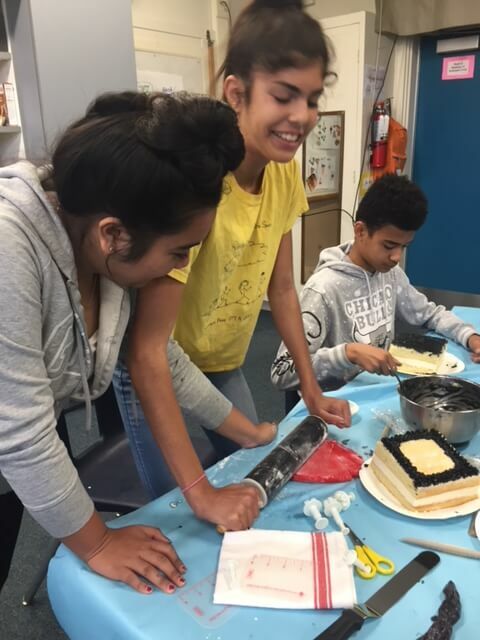 Perhaps we have some future bakers on our hands – how sweet! 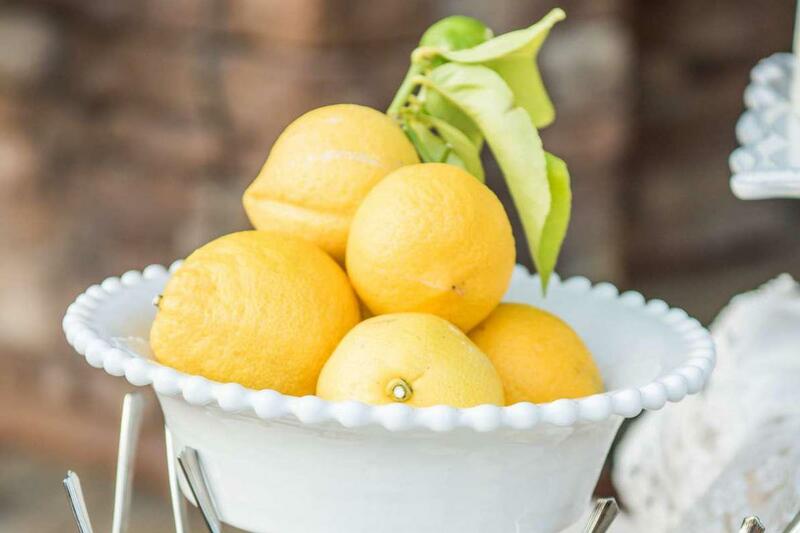 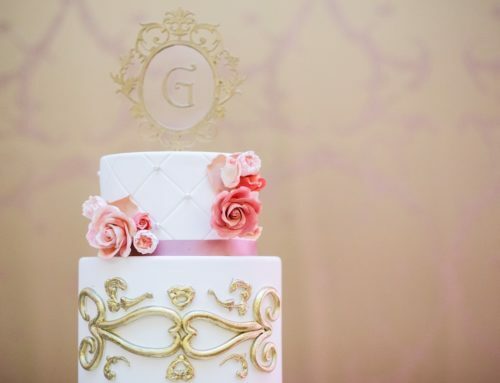 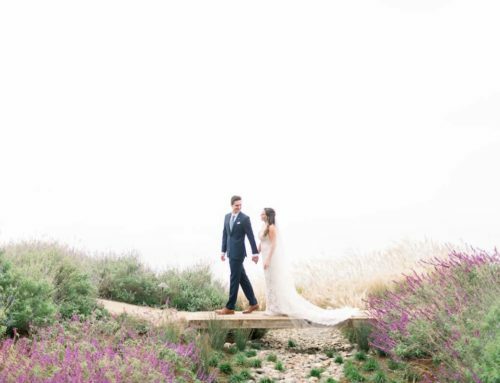 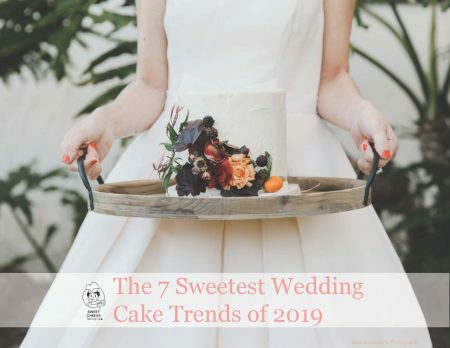 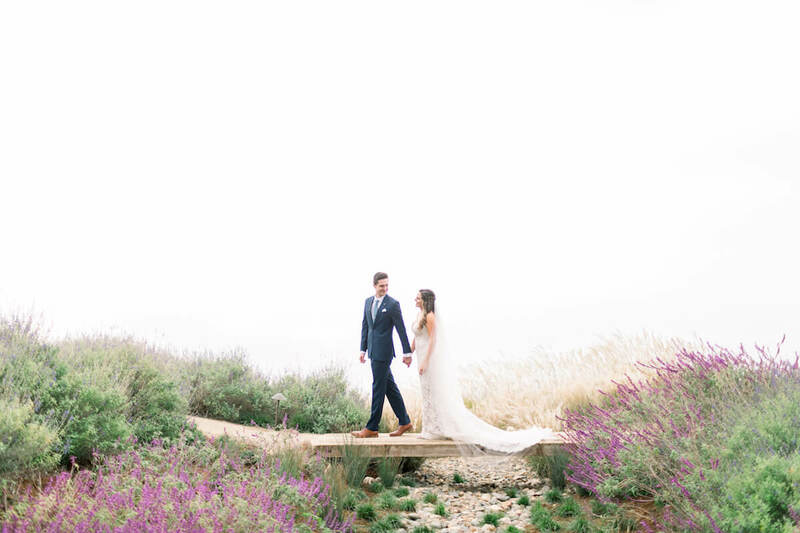 Sweet Cheeks Baking Company is a woman-owned and operated specialty bakery in San Diego, CA that provides spectacular looking and super delicious cakes, cupcakes, cookies, and treats for weddings special celebrations!